Mr Sood's higher specialist training was undertaken in the UK, USA and Australia. He was appointed consultant ENT- neck and thyroid surgeon in 2003. He is on the council for the British Rhinology Society and North of England ENT Society. He is also on the committee for regional training, clinical governance and a calman head and neck surgeon. Mr Sood's practice is divided between nasal (cosmetic and functional) surgery, sinus surgery, neck and thyroid lumps, voice disorders. Mr Sood is married with one daughter and lives in Leeds. Schooled at Leeds Grammar School he enjoys squash and travelling. 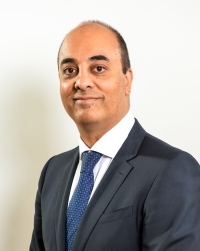 Mr Sood has published over 40 publications on ENT surgery and is a regular international presenter. Mr Sanjai Sood does not hold a share or financial interest in this hospital, another Nuffield Health hospital or the company. Mr Sanjai Sood does not have a share or financial interest in equipment used at this hospital or another Nuffield Health hospital. Mr Sanjai Sood does not hold any paid advisory role(s) at this hospital or on behalf of Nuffield Health.